Following a successful launch of season 4 of The Walking Dead, ABC has confirmed the popular zombie apocalyptic series has been recommissioned for a fifth season. 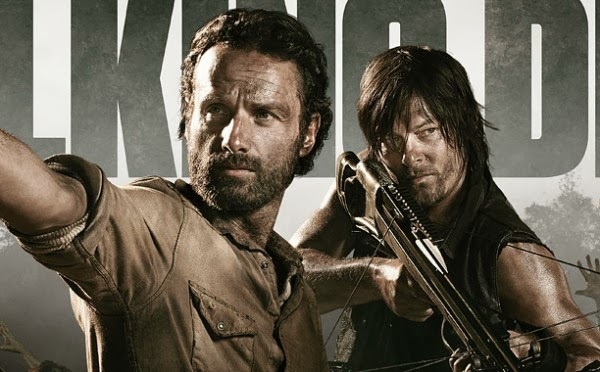 The drama currently stars: Andrew Lincoln, Norman Reedus, Melissa McBride, Sonequa Martin-Green, David Morrissey, Chad Coleman, Lauren Cohen and Steven Yeun. With The Walking Dead‘s penchant for killing off characters, who of the above list survives will be a nail-biting wait. Scott Gimple will continue as showrunner; Gale Anne Hurd and Robert Kirkman, who created the comic series on which the TV show is based will both continue as executive producers as well as David Alpert, Greg Nicotero and Tom Luse. The Walking Dead airs on FOX and Channel 5 in the UK. Season 4 is currently airing Friday nights on FOX at 10pm.